Running a business can feel overwhelming and complex. You only have 24h/day and can’t and shouldn’t do it all yourself. There are tons of tools, services, and products out there for you to use, but how do you know which ones are good and which ones are much better for you? When you need help with e.g. logos, web page design, infographics, pamphlets, leaflets, printing on t-shirts, jersey, sweatshirts, and hoodies, or designing labels for various products, 99designs.com can be an option for you. 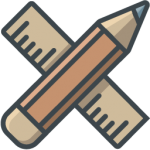 You are essentially hosting a contest online where you will be able to attract a lot of great graphic designers that will submit their concept to you on the website, and you’ll be able to provide feedback and pick and choose out of many different concepts. Shopify is an out of the box solution to create and run your online shop. It is based on a subscription model where you let Shopify handle the maintenance, support, hosting, tech, and even design. This is an easy solution if you want to spend as little time as possible running your e-com site. Click the button to start a free 14-day trial period. Shipstation is a shipping software that can help you if you are selling your apparel online. You can import, manage, and ship your orders in an efficient way. Shipstation works in the US with the most popular marketplaces and shopping carts using all the top carriers. 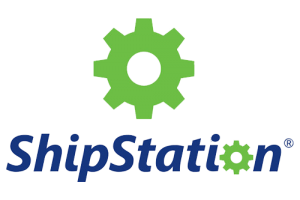 We have heard great things about Shipstation, but we haven’t used it ourselves. You can try it 30 days for free by clicking the button. Blueshost is powering over 2 million websites worldwide. It is the #1 recommended web hosting by WordPress.org. 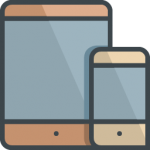 Every account features 1-click WordPress installation, and they have hosting starting at $2.95/month. On the back of it says: Your product will only survive in a crowded marketplace if you stop advertising and start innovating. This is a must read! This is a book every designer and apparel startup entrepreneur should have in their studio! As they describe the book – The ultimate fashion bible. 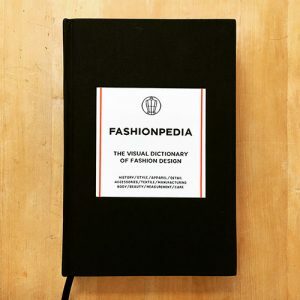 Fashionpedia is a visual fashion dictionary covering all the technical terms from style to materials to production with illustrations and infographics. It it was it sais in the title. 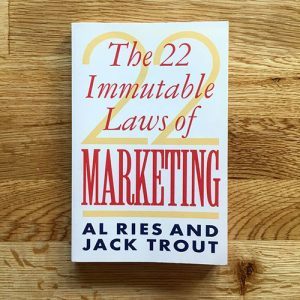 Follow the 22 laws and have a winning brand. 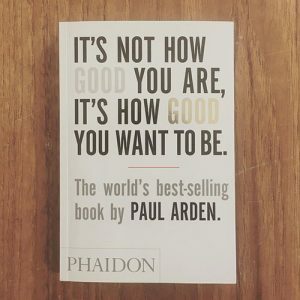 A classic book in the marketing segment, quick read, that you will pick up over and over again. Find your niche and dominate it. Going into a “busy” market will mean less atention and less customers. 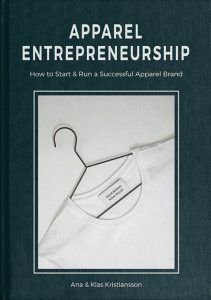 I strongly recommend this book to not only sportswear brand startups but anyone that’s thinking about starting a company. 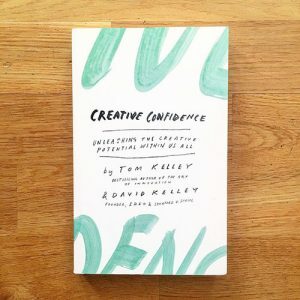 For all creatives out there this is an extremely powerful book on unleashing the creativity that lies within all of us. Want to boost your creativity? Read this book! If you steal from one artist it’s stealing, but if you steal from 100 artists it’s called inspiration and reasearch. Nothing is original and what makes the work yours is the remix and the YOU seasoning you add to it. 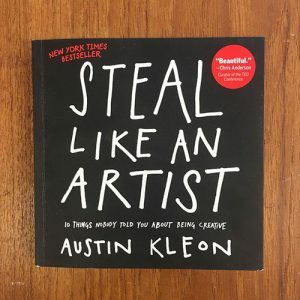 All the best artist steal? 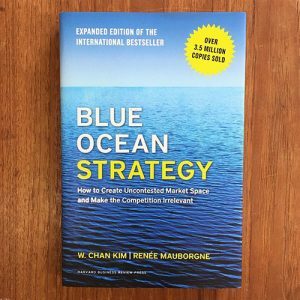 This book is a must read not only for business purposes but for your entire life. 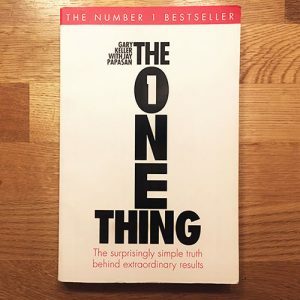 The title says it all – mutitasking doesn’t work, focus on one thing at a time. 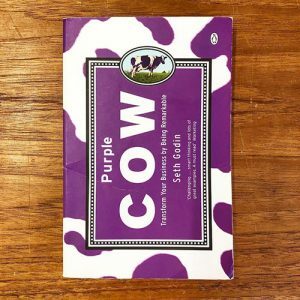 This is the book that inspired me to start my first brand. 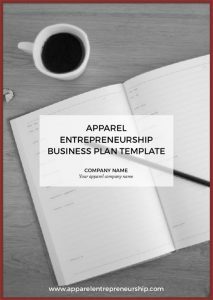 I really resonated with the fact that you can run a clothing business your way. It’s a fantastic example of how you can live a life doing things you love and working with things you are passionate about. 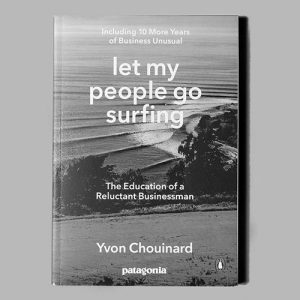 The Patagonia “purpose” is much bigger than just some clothes. They inspire and motivate for more sustainable businesses. A fantastic quick read! Not only for startup entrepreneurs, but for all creatives out there! 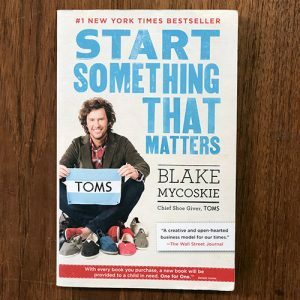 This is a book about doing good and starting something with a purpose. Some of the links on this page are affiliate links, which means that if you choose to make a purchase, we will earn a commission. This commission comes at no additional cost to you. Please understand that we have experience with all of these resources, and we recommend them because they are helpful and useful, not because of the small commissions we make if you decide to buy something. Please do not spend any money on these products unless you feel you need them or that they will help you achieve your goals.